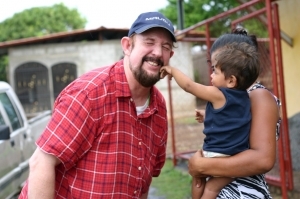 In all my experiences in Nicaragua and in the inner-city of Richmond, Virginia, single parents are the backbone and the crucial ingredient in raising amazing, resilient children. I think there should be a national or international monument built for all the outstanding single parents in the world. Being a single parent has a lot of challenges, and Kids in Crisis will continue to empower and encourage families in the US and around the world. It is my experience a large majority of the crises children and orphans are facing in the world today can be traced back to in some way to an absence of a father. Fathers leave or are absent from the family equation for many reasons. Some fathers are absent because of death, incarceration, neglect, immaturity or ignorance. I’m not here to cast judgment on any father who is not presently engaged in their children’s or orphan lives but I would encourage any father regardless of the situation to play an active role in their child’s lives because the positive psychological and emotional impact is immeasurable. A father’s love and encouragement has been proven to not only have an overwhelming impact on a child’s life, but also has positive implications as a child grows into an adult. I have witnessed firsthand the positive impact a strong male role model makes in a child’s life. Over the past three years working with children in different environments (from international to children in the school system) there is one common denominator: no father presently involved in the family equation. When I encourage these children with a simple act of kindness or look them in the eye and say, “I believe in you,” It’s like a light turns on inside of them. This is not an experience that is unique to me. I have spoken to other males about this phenomenon: community leaders, coaches, teachers and other dads. This is not a formulaic event and it doesn’t always work, but when it does I can see a noticeable change in a child. They start holding their head up a little bit more or they start looking me in the eye. Their countenance is completely changed.